Residents of IDP camps in 19 states of the country, received no fewer than 326 cows to enable them celebrate the sallah festivities courtesy of the NTICF. “This is a yearly practice for us at NTIC Foundation and we have been consistent in the past ten years as a way of saying thank you to Nigerians and Nigeria, and also putting smiles on the faces of the needy in the society, especially those in rural communities and the internally displaced persons (IDP) camps” he stated. The NTIC Foundation is the corporate social responsibility arm of the Nigerian Tulip International Colleges (NTIC). “We are concerned about the less privileged in the society, that is why our initiatives are designed to have an impact in their daily lives. 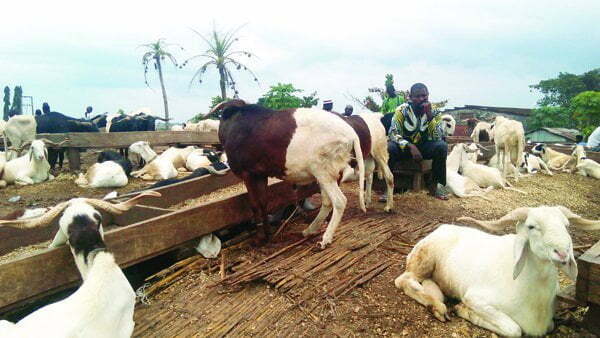 This Sallah celebration over 275 cows was killed, and over 20,000 families benefited with 3kg of meat each across 20 states in Nigeria,” says Mr. Basaran, the director of the foundation. He also revealed the distribution was strictly monitored to ensure the meat got to intended targets. “Our distribution vans went to IDP camps and rural communities in the 20 states that were designated. In his remarks, The communication Director of the NTIC Foundation, Mr. Joshua Ocheja, stated that the gesture of giving back to the society and people in need extends beyond the Sallah celebrations. “The NTIC Foundation as a policy felicitates with Muslim and Christian faithful during festive seasons like Sallah, Christmas, Easter, and others. It is our little way of giving back to the society and putting smiles on the faces of the needy in the society” he said.